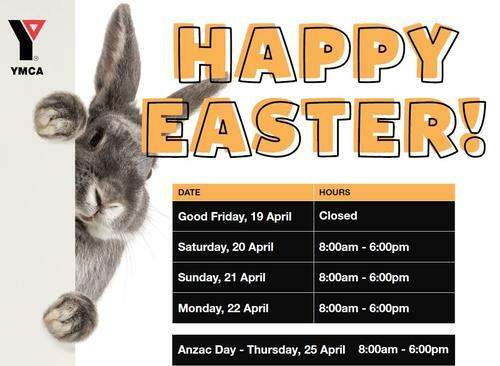 Please note that the centre will have shortened hours over the Easter period. We will be closed on Good Friday. We will be open 8am - 6pm on Easter Saturday, Sunday and Monday. We will be open 8am - 6pm on ANZAC Day. No Squads and Learn to Swim on these days.